Anya was used to not sleeping. Whether from excitement and anticipation or loneliness and despair, she was well used to the sounds of the night filling the world that so many thought was silent when the sun went down. They were mistaken, those people who went to sleep shortly after dark. Not in going to sleep, but in thinking that the rest of the world slept with them. Animals that they have never seen before come alive at night. The trees mourn for the sun and their sighs form the cadence that all other sounds build upon. Houses creak and moan. And the breathing. Even in sleep, people make sounds. Sighs, moans, grumblings. Just the sound of their breathing can fill a quiet room, and Morty’s breath filled his broken cabin and rose above the sounds of the cold outdoors. It was not as strong as she would have liked. His disorientation each time she woke him as he asked lasted only moments before he fell back to sleep again. It was not as deep and peaceful as before, but that was to be expected, she told herself. He had fed off of Callumn’s spirit and the stone glowed strong. It was Morty’s spirit that suffered and flickered now, perhaps wishing for the only end it could ever know. She did not want him to leave again. She did not want him to forget them and leave without her. She felt stronger when he was near and gave her courage when before she had none. She looked down at the ring Atanamir had given her. Even as she looked at it, the little ball of air took form. She thought back to how in the tombs, she had used that air to gather more and smashed it against the bodies rising at Kurrakh’s bidding. How it shielded her from their arrows. When she had tried to practice back home, it was so hard to concentrate. It was so tiring to manifest even the tiniest breeze. But she had done it for his daughter. For his people. For him. She counted her own breaths. The seconds while she held it. The tired gasps when silent sobs rocked her shoulders. The number of times she reached out for him, wanted to climb into bed next to him, but didn’t. She had been getting used to his absence. She had stopped looking for him in the Prancing Pony and stopped crying when she heard a mandolin coming from a closed window of a stranger. Her smiles for Oleander Hawthorn weren’t as forced and she was beginning to feel less like she was betraying them all by wanting to smile for him. But things change too quickly for her to really get used to, and while she used to tell herself that she would be all right without him, now that he was back she wasn’t so sure anymore. In ten day’s time, I will come with a few traders and goodsmen from Durrow and the nearby lands. I will sell for a few; we shall have summer vegetables, breads and dried meats, and some clothing, and I had Callee, my Hobbit friend, brew my favorite honeymead for you. I believe it best if only the women come to do the trading. If there are Men-men, and not Orc-men, that should be fine, but I hope to establish create a good relationship before the others discover you have orcs. I want to protect you and your people from those who will not understand. I hope you are well. We miss you. How are you, Nestor? I do hope life has settled for you and no further mischief has overcome the city. You know my propensity for disliking Dol Amroth, but I do love the people there and hope they have found happiness during the summer months. I am writing to request the list of herbs accompanying this letter. I have a patient here in Bree who would benefit from their properties. If you have any insight into how to brew them in a way that would most benefit someone having nightmares, I would greatly appreciate your wisdom. I have spoken with Oendir and the eleventh it is. If you could arrive on the ninth for final preparations, I believe we will be able to solidify all plans in time. Neilia looks forward to seeing you. Do you think the larkspur back by the lilies would survive the trip? I wish my garden here was more established. I am hoping Oen will agree to me keeping the property and continuing with my plant nursery. I do not see why he would be opposed to it. Damn, I hope you can read common. Have your dad read this to you if you can’t. ORENDIR <— have him read it! I just wanted to say hi and ask how everyone was up there. Is it really still ice even though it is summer? Bree is all right. There’s lots of flowers and honey to be had and everything tastes fresh. You should come visit with your brother and sister sometime. I think you folks would love it, especially Kipina. How is she, by the way? Vahan is doing great. I know he’s just the runt, but down here, he’s really something special. My brother Eirikr is training him and he’s pretty good most of the time. He gets along really well with our other dog, Bear, but not so much with my sister’s cats. But no one really gets along with them. Maybe this year we can come visit you again. I think Vahan misses the snow. I know you can read this, you blasted lynx. The relic is still guarded well by a sorcerer of some power. My own is not strong enough to dispel the wards placed over it. I am biding my time and getting to know the people, as you said. There is one who is incredibly suspicious of me; I recall his face from the Ranger’s keep. It is hard to forget. I do not feel as though he is a normal grave-digger. The girl disappeared for several days after he did; he returned with a sword of some magnificence, but otherwise appears unchanged. How would you like for me to proceed with him? I will travel to the ruins as before. North, this time. It is with great pleasure that I congratulate you on the engagement of your son Dunstan to the daughter of Magan. He is a fine man. My only regret, of course, is that it is not my daughter! The foolish girl does not deserve so fine a young man. Regarding the shipment, it is on schedule to arrive in two weeks. Your influence with the Captain of the Guard will be most beneficial to its safety. Again, I cannot thank you for your assistance in this matter in any other way than my support for your illustrious position. May your court remain true to justice and continue to measure the men of Dale with its wisdom and mercy. Eirikr rode in silence. He did not want to look at his companions as he kept Kvígr close to Taja’s steed. 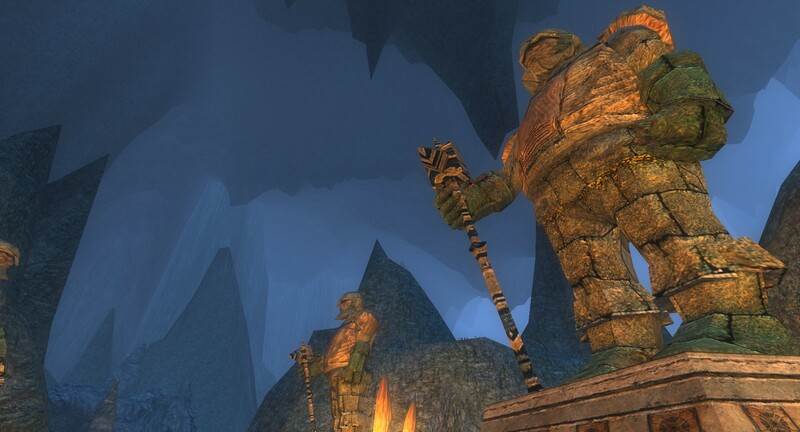 He had given Pharazanû back to him after the man mounted up and he rested limply against the Lossoth. The gleam of the young man’s pale hair shone even in the fading light as they rode toward Lothlorien. The White Witch’s Wood. O, he tried not to recall the tales of the place as they drew ever nearer. He had half a mind to stay with Langafel’s men at its border, but that would be cowardly. His place was with his company. His place was to protect his company, even if it was from themselves. He had to hand it to Oen; the man had an interesting recruitment philosophy. And he knew that aside from Cwen and Eruviel, he hardly knew the other members. They seemed hot-headed and and quick to draw. And while at first everything seemed black and white, he began to feel that things were not quite what they seemed with the enemy. Still, he watched. He waited. He spoke only when he felt it absolutely necessary. And while everyone’s hatred for the sorcerers clouded their judgement, he tried to remain objective and true to his core beliefs. After all, it wasn’t personal for him. He had met Atanamir a mere handful of times, and they were in passing. He thought the gentleman could make his own decisions, and he did: he chose the sorcerer. He just hoped he would never have to kill him for it one day. Still, there was a long road ahead to Lorien and things could possibly change before they returned. If the eaves of Mirkwood had taught him anything, it was you could rarely see what was around the next bend in the road ahead. The nights when Pharazanû came to him burned feverishly in Zabathôr’s mind. 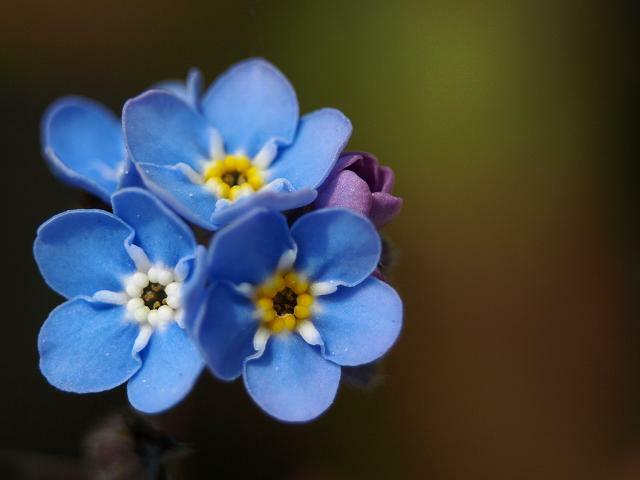 Now as he stared at the letter in one hand and held the stem of the flowers carefully with the other, he pictured him lying beneath the coverlet with dozens of the tiny blue blossoms in his hair. Was he getting too old for this? Age was hardly an excuse. He had spent a mere half-century walking the paths of the Eye, give or take a handful of years. The journey kept his body healthy and fit while his mind stayed sharp. The only thing that had changed was that he no longer walked it alone. Something blurred his vision as he tried to reread the letter Pharazanû must have left before they had marched to the Flame. He rubbed his eyes to clear his vision and his fingers came away wet. He had not cried since he was a boy of seven and his own foolish machinations had set his own hair on fire. A surge of anger welled in his chest now, and he grit his teeth as the air crackled with heat around him. Zabathôr took several deep breaths and willed the flush out of his cheeks. He turned from his bedside table and went to the chaise where he pushed several books to the floor before lifting a leg to fall to the cushions. He read the last lines of Pharazanû’s letter and again it sounded like a goodbye. He thought of his last words to the boy, and he realized they had not been enough. As that wretched company took him to Lorien, they took him further and further from his grasp. He closed his eyes to block the fading light that bathed his chamber now that the shadow was gone. He did not want to think about tomorrow when the Four Lords would be three, or even worse, halved. What would happen to them now that they were drawn and quartered? Would the Eye send them to the far corners of his empire as slaves to remind others what would happen if they failed? The gift of life seemed so new and precious to him suddenly. And was it such a gift if it meant living in torture as nothing but a mocking shadow of his former self. The day will dawn and one way or the other, he thought it would bring freedom to his young lover in life or death. And with its light, Zabathôr realized he did not know the path before his feet and he could only stare out the window at the setting sun. The bear was grumbling to himself. Of course, if anyone happened to pass by, his complaints sounded like growls and snarls and slobbery lip blowing. But he was complaining, though he knew no one would understand. He just did not understand why Anya had asked him to stay up all night watching for the past week and a half. He missed the sun and the Broken Cask and the way the light sparkled on the lake. He wanted to go look for another beehive and eat the guts out of it. Anya wouldn’t tell him why he was watching or what he was watching for, but so far it had been a stray dog (which Anya did not let him keep despite the big bear eyes) and several squirrels. Oh, and a rabbit. The rabbit didn’t like him very much and moved on from Anya’s small garden rather quickly when it caught scent of him. Still, he’d watch. He wouldn’t fall asleep and he hadn’t really fallen asleep the past two nights. It was hard to stay awake with the sounds of the night lulling all around you. She had to understand that, right? Besides, there was nothing to see. He could be sleeping right now. But then again, out here, he couldn’t hear his sister crying at night. Sometimes, he thought she’d make it without tears, but inevitably, he’d hear the sniffling and then the sharp gasp and he’d try not to roll his eyes as her feet hit the floor and she shuffled across her room to the opposite corner of her bed. Sometimes Sally Stitches would let out a plaintive meow or one of the dogs would bark, but after a few minutes, the bed in the other room would creak again and the room fell silent. The bear huffed and turned his big head to gaze up at the stars. The light was growing at the tops of the trees and he slowly lumbered across the lane into the yard of the little cabin. The floorboards of the wagon creaked as he climbed into the back with the intention of changing back into his lanky self. But instead of a shimmer and a shift, there was a slump and a sigh and Abiorn fell asleep there in the wagon with the cover blocking out the first rays of the morning sun. And he did not see the stray dog, turned away two days back, sitting up on the cliffs of Pinecrest overlooking the cabin. The main gate was small from the high tower, but he knew that the visitor was no friend of Mordor. No orc nor goblin walked with such an air of high confidence and no Man would come here without a guard. The shouting and commotion (ugh, orcs) had drawn his attention, but what he saw kept it until the man was shackled and hustled inside. His suspicions were confirmed when he returned to his room that evening and found the note on his bedside table. It smelled of him. Youth and eagerness and conflict. Zabathôr felt it in his young lord and he read it between the curves of his fine penmanship. He read the words: Azulgar’s slave had returned to him. It was one less thing Zabathôr now had to worry about, had to plot and plan. The gentle admission of enjoying their talks outside of the incessant schedule of meetings and planning sessions and inspections. The note brought a smile to Zabathôr’s lips, but first things first: the news that Azulgar’s lover willingly returned to his loving embrace. His window offered a fine panoramic view of the decaying forest around the fortress. Far below, a row of slaves toiled before the great furnaces that allowed the armies of Dol Guldur to grow at such an exponential pace. Soon they would be travelling south with the armies under his command. His guidance. Truly, he did not know what he would have or whether he would ever see such a thing as actual war. Was not such a thing below a great Lord of Mordor? Surely it was so. And yet, he longed for a chance at glory. He long to be feared. One, two, three four. The Four Lords, not the Three Lords or the Two. What fear would his name bring if all he was known for was succeeding where so many others had failed with the Flame? How is power and triumph shared among four? It was lessened to be divided so, yet Mordor created them. Made them into one, and without the whole, they could never achieve success. The Four Lords, not the Three Lords or the Two. His thoughts drifted to the the author of the note and he looked down at it still in his hand. A poisonous wind tried to rip it from his grasp and he stepped back from the window brushing his pale hair from his eyes. Rereading the note, he crossed to his bed and pulled the cord to summon a slave or servant, whichever did not matter to him. “Yes, my lord?” Collared and downcast, the woman stood with her hands clasped in front of her to support the chains that cut into her wrists. The woman dipped into an obedient curtsy and hurried out the door. Zabathôr tucked the note into a box sitting on the top shelf of his armoire. He slid out of his heavily decorated robes and into a more casual one. He would celebrate the acquisition of Azulgar’s lover. But quietly, privately, and with caution. He waited for Pharazanû to arrive. The hut was dark and silent save for Oendir’s steady breathing. Cwen lay beside him–clothed in her heavy chemise, underrobe, and lined trousers–and pulled her bare toes up to rest their tops against the back of his calves as she spooned against him. She pulled the fur blankets to her chin and let out a heavy sigh before draping her arm loosely over his torso. What in Arda was wrong with him? But it was disorienting. It did not feel like the Oendir she knew. It was imply off and certainly the others would say the same had he not carried her away while covering her in kisses. She shifted uncomfortably, though she tried not to disturb him. If he woke, she feared she did not have the energy to stave his sudden interest in coupling again. Through the haze of Oendir’s kisses, she had thought she heard Dorsett responding to Atanamir’s awakening. She hoped she simply had not imagined it and that the man was much more himself than her own love. She pressed her cheek against his back in the dark. Only through much quick thinking and persistent protesting did Cwen manage to talk Oendir back into his pants. She convinced him to find satisfaction in her declarations of love and her presence beside him, and though several times she insisted that she simply did not think now was the time for shagging, part of her wanted to just finally love him without preamble or pretense. But sleep was hard in coming for Cwendlwyn that night despite how hard she tried not to think of Oendir’s odd behavior or of the letter in her pocket pressed between the bed of thick furs and her hip. Eruviel reminded me that I needed to write to you. Not that I forgot. There’s just a lot going on and it’s only the first day here in Suki- Suri-Coola Suli-Kura the capitol of the ice land. We have met a lot of people so far. Commander Arrowheart’s father (I think) and his really beautiful daughter. Her name is Kipinä and seemed really impressed that The Wayfarers were there. Like she admired them a lot. I’m going to tell her all about Anya’s stupidity and Bookie and see if she’s impressed that I was a part of that. Maybe she’ll be impressed. We also met the man we were travelling to visit, Panja. Anya, he makes me look timid. Just saying. I think you would find him funny, though. And Eirik, there are hunters here, too, you know. It’s a different kind of hunt, but they’re impressive. One named Taja has these things called “spirit-eyes” and it means he can see things that exist both in our world and the spirit world. They’re all yellow and sparkling and I want some. I forgot to tell you about the spirit world. We had to go meditate or something at this place and it took us up to the spirit world. Getting there reminded me of when I shift into a bear. Only less painful. Like the world around me just blurs and shifts and I feel all separate from my body and floaty and then the world looks the same, but completely different. I wonder what would happen if I tried to change into a bear when I’m there. Anyway, I almost knocked over the inkpot my eyes are so crossed from tiredness. Just know you’re completely missing out and I know that you don’t want to be away from your Morty, Anya, and you’re all worried about him and stuff, but you would LOVE it here. 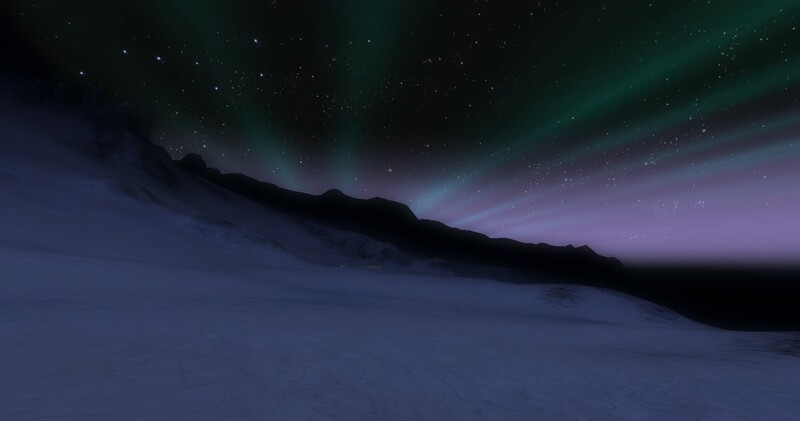 The northern lights are brilliant and I think you’d do good to paint them one day. That means we need to come visit, the three of us. Maybe even Eruviel would come with us Eirikr. I know you’d like that! Neilia and I have gone to Buckland to celebrate the Yule with our Hobbit family there. My stay should be brief; three or four days at most. If there is need of my services before we return, you can find me at Gardeneve. Do not hesitate to call upon me regardless of how far I may stray. I am forever at your service. May Béma guide your path. I am sorry that I missed you. Neilia and I are going to Gardeneve for a few days to celebrate the season with Callee and some other friends. Please do not hesitate to visit if you feel the need to take a true holiday from Bree. My door—regardless of its location—is always open to you. Regarding our discussion about the commander, I am afraid that the truth has done its damage. After the gathering at Ravenhold, he and I were left alone and the conversation did not go anywhere except to tears. I told him I would do anything, he need only ask. But he doesn’t know what to do any more than I do. I am tempted to stay in Buckland even though Oendir insists the Wayfarers need me. How can I remain in Bree when he says there is no way to fix us? Even as I struggle to figure out what my heart truly says, I cannot bear it that I am the one who causes such a great man pain. And Rheb. I am going to try to find him before I go, but what can I do? I have a feeling Rheb will only smile and try to kiss me to make it all better and remind me that he doesn’t mind if I am with Oendir, too. He just does not understand that Oendir minds. And me. Do I mind? I should mind, of course. I am not that sort of woman to have a husband and a lover. Whomever is whichever, I can’t even begin to think about. I’ve already written too much. I do hope you come visit me now, though I will probably be back in Bree before you could reach Gardeneve. First thing when Neilia and I return shall be our tea. I fear we both need it. I wished to thank you for the conversation we had a while ago regarding Oendir’s foster son, Rheb. The information you provided regarding his unique abilities has proved useful. I know that you are curious about my questions. I do apologize for being so elusive. I have a favor to ask of you though I do not think you will find it too large a burden. Please pay special attention to Oendir. I am afraid this season might be especially hard on him and I am in no position to make anything about it better. It is unusual for me to ask this of you of all people, I am certain. But he loves you dearly and I can tell he views you as one of his own. Spend some time with him, if you can. I know you have your own burden to bear, but perhaps together your plights will be less when you have each other to share them. That is what family is for: to lessen the burdens we bear even when in the end, it is us that must face them alone. I know that you have your lover, but Oendir does not. He has Solstan, but a child can only ease the pain; he cannot help his father through it. This might seem presumptuous of me, but I feel it necessary to say before I am before I leave for Buckland. Both of you are too pigheaded to say it, but you should. That you love each other. Oh, and if you are afraid Oendir will be angry or disgusted that your bedmate is a ‘he,’ just look at him and say ‘hypocrite.’ If he balks and protests, say, ‘The dream.’ You were in it, too. I assume you will know what I am speaking of, but if you do not, just trust me. He could use a good kick of reality to face the fear that makes you afraid of his disapproval in the first place. Thank you so much for your letter. It brings me great joy to hear that you and Sir Pengail are getting married. He is a fine young man and together with your strength and spirit, you will make Dol Amroth and all of Arda a better place. I am glad that you thought of me and the Wayfarers. I will pass along your well wishes and the news of your nuptials. I only wish we could be there to send you off properly. Married life can be a true blessing when the love is as pure as yours. I know that if you listen to each other, stay honest and faithful, and love each other with the same passion ten years from now as you do today, you will do fine. That is the same advice I will offer young Hallem Kemp and his betrothed, if he ever asks. His engagement is probably the most exciting happy news of those you would know here. I know that you and he were quite friendly with one another, so I hope that he has already written you with the news and I did not spoil the surprise for him. 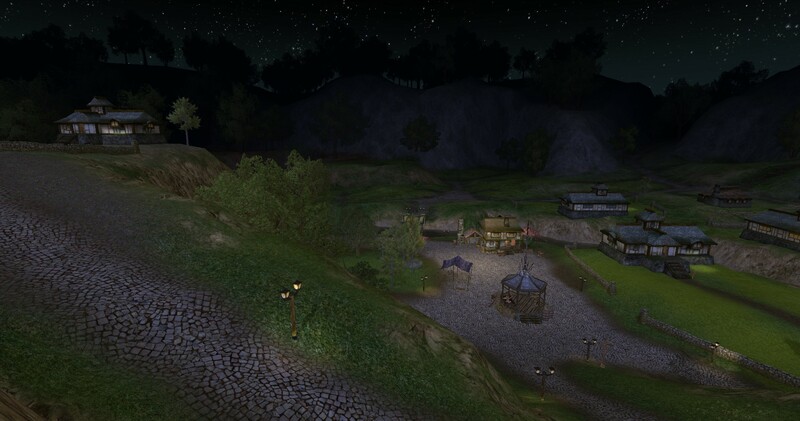 Other than that, there have been a few more journeys and some new scars, but overall, we here in Bree are doing well. Bree is beautiful with the season. Decorations of big red bows and holly and mistletoe are everywhere. Food is prepared with special care. And people gather to love one another. It is a wonderful season, truth be told. I’m certain Dol Amroth is just as beautiful in its own way. I’ve included a small painting that represents the season here. A friend did the work. If you like it, I can ask her to do more little pieces that I can send easily. Do keep writing, my dear. The happiness you have to share is always welcome here. I have gone to Buckland to visit some friends. Oendir knows about us and is very hurt. I’m sorry I could not find you before I left. I will try one more time before Neilia and I leave. Anyatka stared into the looking glass hung over the little table Eirikr bought her for getting ready in the morning. Her brush and a fine-toothed comb sat on it as well as a stray auburn hair. She gently pulled it from the teeth of the brush and held it up in front of her face. The image of herself staring at it caught her attention, though almost immediately the effect was lost. She frowned up at herself and touched the raven black locks that hung around her face. 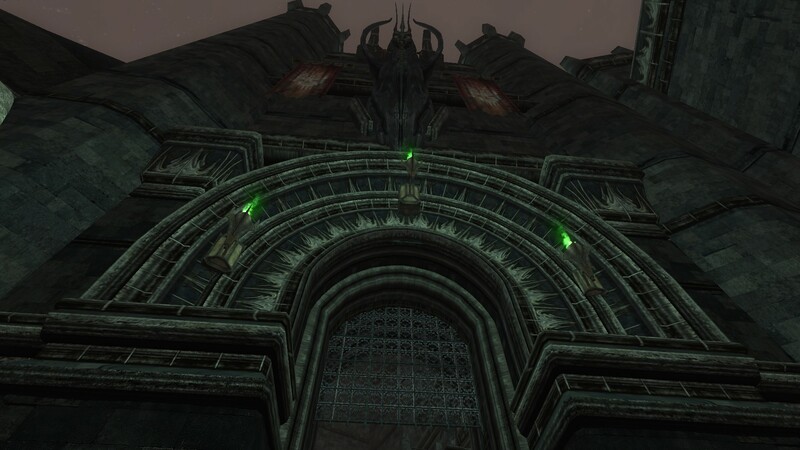 It was a startling change and a constant reminder of what had happened in Evendim. She told her brothers she did not remember much of her captivity with Parmanen, and truthfully, she didn’t, but what she did, she had rather not even whisper aloud. It was cold. It was frightening. But it was never painful. It was just confusing. Regardless, she did not mind the dark hair. It gave her an element of anonymity that her red hair never had bestowed upon her. People simply were not looking for a black-haired Anyatka Tenorbrook. No one had commented on the change, really. Perhaps they thought she did it on purpose. It wouldn’t be too hard for a painter to play with the colours until one worked on hair. But black? It was an extreme change and she was not certain she liked it, but she was also not certain she did not like it. What sort of girl took the time to dye her hair black, anyway? The kind that chose a grave-digger over a jeweler, Anya thought to herself dryly as she grimaced at her reflection. The sound of gulls filled the air as Arameril rushed down the docks toward The Chipper Kipper. She hoped to make the final voyage of the afternoon; certainly becoming a nobleman’s wife would curtail such excursions greatly in the future. Just a few short weeks, she thought. Autumn was quickly fading into winter and she wondered if she shouldn’t forgo the speedy preparations and allow some breathing room. But a year apart from Pengail’s embrace each day did not sound appealing to her and she wanted a fall wedding, so the only logical choice was the get married and NOW! She smiled as she passed the dock that served the ferries to the islands lying off the coast of Belfalas. Her wedding gown was being altered even as she wound her way through the crowded docks. She felt she should write to Lady Golchalad for gifting her the magnificent gown. She wanted to call on her father to reassure him that his inability to pay for such an extravagant expense did nothing to lessen her love for him. But she wasn’t certain if such steps were appropriate, and though Arameril rarely did things ‘appropriately,’ she knew that that had to change. She rounded the corner and barreled down the long dock to The Chipper Kipper. She greeted Scuppers and a few of the other crewmen before excusing herself from their congratulations and making her way to the rail overlooking the vast expanse of the ocean. Only from the deck of this ship, she thought as the vessel began to move into open waters, only from this ship will I ever find the freedom of the sea. Hathlafel did not believe that she understood what she was giving up by marrying so young. Perhaps he thought they only wanted a tumble in bed and were jumping ahead of themselves as they thought with their passions instead of their minds. She was uncertain how to convince her father that she did understand the consequences of marrying Pengail of House Nomin at the age of nineteen. One last voyage or two before the wedding day. Pengail would tolerate a trip on The Chipper Kipper every now and then, but she would not ask him too often. She knew how uncomfortable it made him ever since that first day when he never ventured near the rail and never felt the unbridled spray cleansing his skin as he laughed in the wake of the waves. Arameril willingly gave up the sea for him. Oh, yes. She knew what the consequences were. And still she smiled at the seagulls as they circled the main mast. She greeted the late autumn sun with a hope. She could say goodbye one day to her dreams of sailing on a ship of her own and welcome the dream of Pengail of House Nomin and babies and riding. She would play the lute in the evenings and together they would teach their children how to remain honorable and whole in such a busy place as Dol Amroth. Maybe one day, they would take their family on adventures by traveling across the lands on foot. Bree was still a possibility. She thought of her friends there and missed them greatly. For a brief moment, she saw the top of Hallem Kemp’s head as he tucked his chin to stare at the ground after their climb. She felt his hand as they waited for Lady Gwenithel at the exchange that revealed to her that Sir Hathlafel was in fact her father, his expression when she ordered the kill. Bree was still a possibility, but in a different way. In a different time. Right now, the waves crashed and the seagulls cried and The Chipper Kipper cut through the surf like a knife through butter and Arameril was content. Eirikr waited until the cabin was empty of his siblings before he climbed out of bed. Anya had tended to his burns with a surprising gentleness, but he was relieved for the quiet that fell when she left to go draw in Staddle. The bandages around his head tickled and itched, though he took it as a good sign that his face no longer felt like it was a raging fire, but more of a dull burn. The pain medicine was finally working. The journey back from Tinnudir had been agonizing though he tried his best not to show it. Kvígr trod lightly as if he knew his master was in pain, but once he nearly fell out of the saddle, exhausted from the effort it took to keep focused on the road ahead. The others insisted he ride in the waggon to rest and recover and he had little argument as he could barely keep his eyes open. It felt so much better to keep them closed, anyway. He slipped into Anya’s room and stared at himself in her mirror. He had to stoop to do so and finally he pulled out her little cushioned chair and sat in her place. Carefully, he pulled the bandages aside and grimaced. It was a burn. A bad burn with blistering and redness and a bit of white around the little dip where the bolt had hit his temple. At least it was no bigger than the tip of my pinky, he thought feeling detached from the face that bore such injuries. Quickly, however, the fire set in his flesh mounted as he stared at the injury and he felt woozy. It was indeed his face that was marred so. It was his pain that shot through him along every nerve. He had hoped there would be some improvement by now, but he knew it would be a long time until a burn like his healed. He carefully re-wrapped his face. He looked around for the medicine that the healers had given him; the dose Anya had given him before she left clearly was not enough. He took another and fell gently into bed, moaning. He wouldn’t show anyone how much pain he was in, not Anya, not Abiorn, not Eruviel. Cwendlwyn rushed after Hallem as he practically dragged her down the dark tunnel after Maggie and Sahu. She fought back tears as she envisioned Atanamir on his knees with that iron collar around his neck. She knew that somewhere in her memories, her own pain at being controlled, subjugated, and raped amplified her fear for him. From what little she knew of his past, she knew that he was capable and had been through more than she could ever imagine. She had to admit to herself that she was afraid. The fear in her lived and grew and had a will of its own. She did not know about Hallem, but she had no magic. No pool of tricks to shoot flame or send tendrils of dark shadows after her enemies. She was just a woman with a sword and a shield and a love of life and things that grew. How much did she love life? In all her trials, it seemed that only now did she truly understood how much she loved life. The trees, the flowers, the grass beneath her bare feet. Her daughter, her friends. Cooking and healing and growing. That was what she was there for. That was her purpose: to preserve and protect life in any way she could find. Something changed in her as she ran close next to Hallem. Her fear focused into a point in her chest and instead of choking her, it strengthened her because no matter what happened to her, she knew that life always blossomed after death. The leaves fell to be born anew. The plants died to nourish the next generation. She would fight tooth and nail to protect that which lived, but she found the faith that had evaded her for so long. Yavanna, even here you are present in the moss on the stones and I would do well to remember that. The cycle continues and I am but a spoke in the wheel. For too long have I wandered in shadow when all the time I have held the light. She would fight to free Atanamir and save those dear to her. It was her purpose. It was her calling. And she would do good to remember it and not let the dark tunnels of Moria change her so. Of all of Moria, Cwendlwyn hated the Water-works the most. If asked, she would never had been able to explain her loathing for the mouldy, festering waters aside from the fact they were mouldy and festering and contained who knew what sort of evils beneath their still surfaces. Normal fears aside, her dread of the place set in long before she placed her foot into the tepid pool at the foot of the long stair as the party attempted to flee from the orcs and the goblins and the trolls. Of course, it was here that they would encounter the Four Lords. Of course, during that encounter the evils of the place would conquer what good their party possessed. Of course, Sage would be taken and Maludir’s confidence shaken and they would be forced to flee again like rats. She could only attribute their success to the fact that the Lords had Sage and were preoccupied with the boy. Atanamir led them through tunnels following his map and they found a short moment of reprieve. As she sat staring at the quill in her hand, her words to Hallem Kemp echoed in her mind. 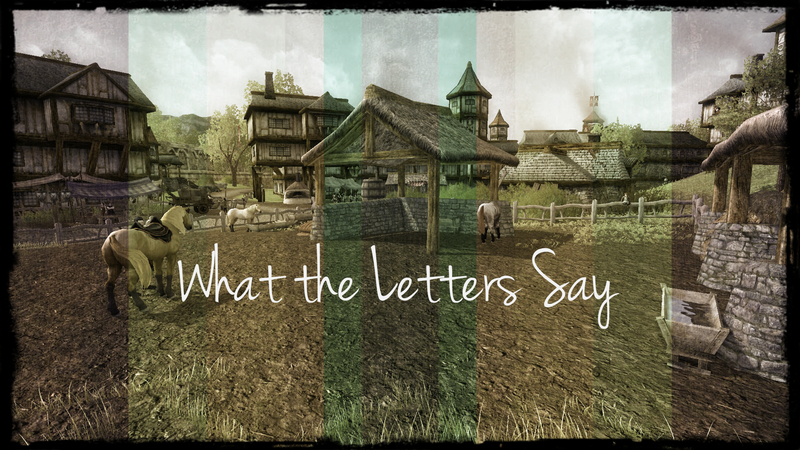 She knew that soon Atanamir would order them to move, but she knew that if she did not take the time to write these letters, they might never be written. She knew that she had to write them. Saying aloud to Hallem that she was afraid and thought that she was never going to see the sky again; that she was unworthy of Oendir for she was ever so weak; that she had found solace in Rheb’s arms and perhaps a single night was no longer enough; that she was falling to pieces… saying all of these things made the weight on her shoulders ease as Hal had given her his Look, though suddenly she wished she were back in Dol Amroth making apple pie with him and Miss Arameril in the kitchens of House Colagar. At least there, she felt as though she understood her challenges. Here, in the deep darks of Moria, she could hardly find up before the ground fell away beneath her feet again. She furtively looked around for Atanamir and decided she had time to try once more to write to Oendir. She dipped her quill into the dark purple ink, took a deep breath, and began to write. I hope this letter finds you healthy and hale and that your time away renewed you for the duties that await you in Durrow. I have begun to seek some property to purchase pending the sale of Gardeneve, but I remain undecided. For years, that house has been our home and I am incredibly saddened at the thought of leaving it for good. Perhaps time will tell me what choice I should make regarding my housing; for now, at least, the cold stones of Moria are my shelter. I do not know how I will send this letter to you. We are in a tunnel off the Water-works. We’ve encountered the Four Lords and I fear for us. The four sorcerers are far more powerful than I could have ever imagined. They have taken Sage. Maludir has lost himself a bit to grief and confusion. 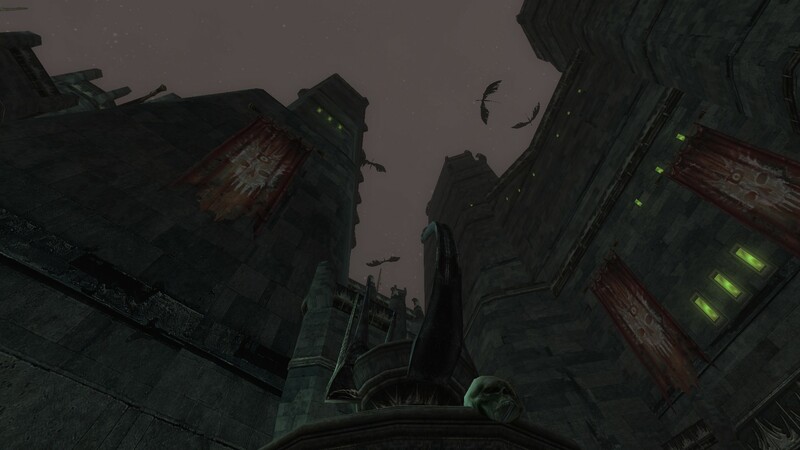 And I do not believe I will ever see the sky above Ravenhold again. So I guess I should not fear the words that I write next. Chances are they will rot with my body here in the tepid pools of the drowned deeps. So I may as well just write them, correct? I am afraid I am falling in love with you. I am afraid because you did not seem to be concerned enough with me to tell me that you were leaving Durrow or where you were going. When Neilia and I went to Overhill to find it cold and empty, my heart froze and I was hurt. Then I chided myself for feeling hurt when I could not claim you as my own; a few kisses and near death experiences did not make one bound to the heart of another. But I realized then that the pain that I felt when you did not tell me you were going meant something. It meant something and I was not sure I was ready to face it. And then Rheb found me. And he found me again. He looked for me, sought me out. Flattered me and learned me and I was afraid I was falling in love with him. I carry a token of his, Oen. He slipped it into my pack with a note asking me to come back soon and telling me that he missed me. Before I had even left, he missed me. It’s so innocent and so sincere. I have to remind myself how young he is and that he’s not wholly a Man and that there has to be a logical reason why he makes me forget everything else in the world except him. There has to be, right? These are not words that should be written to a potential lover. These are not things I should speak to you about! But I trust you–even though I do not wish to trust you, or anyone–I feel as though I must be honest with you or else I shall betray anything that is or was or might have been between us. Is there anything between us? I am beginning to feel better now that I have written this. Hal said to just write, and that is what I did. I know you do not see Hal as a full, mature adult, and perhaps it’s all just my own vain naivety, but he is more mature than most give him credit for…he’s just on that precipice between adolescence and adulthood, isn’t he? That does not make me feel any better about Rheb. You should not forgive me, Oen. Ultimately, it is your choice and I do ever so hope that you do forgive me, but I cannot beg for your forgiveness for what I’ve done. He is your foster son and to even consider him as a lover would be terrible. Horrible. Because Men simply do not do that. Rheb is not wholly a Man. Can I lose you when I don’t even have you? Cwen stared at the words and could not find a way to end it. How do you end a letter telling the man who you hoped could love you forever that you spent a night in his son’s arms? It was betrayal. It was just as she said: horrible. As remarkably forgiving Oendir was, she could not see how she could move past Rheb, so how could she expect him to? She watched as the ink dried and then folded the letter carefully. She tucked it in the pocket next to the short note from Rheb that she hadn’t even known was there until she needed her little blue vial in Dolven-view and went searching for it. There it could stay until she found herself faced with a way to actually post the words. Then, the decision would have to be made. She pulled out another piece of parchment and began to write hastily. She knew they would not be able to afford much more time to rest. Thank you very much for your gift. I will wear it while in the mines and be stronger because I know that you thought of me. I miss you, too. I do need time to think things through when I can see the stars to guide me. I hope I will be able to sooner rather than later. She frowned at the postscript. It was too easy to be intimate with him, even with leagues of forests and plains and tons of mountain separating them. It was just a letter, but on the page it was no longer just a letter. Traced with such care and with the little loops at the end of her letters, it was a kiss to the boy back in Durrow who missed her. She pictured his face: the sharply angled incisors, the tapered ears. The thick flowing hair that he must have used to make the bracelet around her wrist. She pictured Oendir with his brilliant blue eyes. Rheb’s golden ones superimposed themselves on Oendir’s; the dark hair framing their faces merged and blurred. The colors of their irises overlapped into green and then faded into black and white but one thing remained: the earnest hopefulness that she loved in both of them. She clung to that hope whenever she was with either of them. Now, in what felt like a life-time away from both, she grasped at that hope twinkling in their eyes as her lifeline to her inner strength.